There's a obscene debate going on between east coast versus west coast that go beyond the rap wars of the 90's. Can you guess what's the big bruhah lately? Who has the best burger? In-n-Out or Shake Shack? I want to say neither just to spite both of the over-hyped wannabes. For some devout followers that swore by them, it can get more religious or political at times as a hot button issues that can't be resolved with a vote of a taste test. Biased opinions tends to take over when we discuss such sour topic that can divide a nation. For the west coast, it's the team In-n-Out with their fresh meat patties and fresh veggies that are from the source of their carefully chosen farm distributors. Never frozen, always fresh is the model. You can taste the difference so said the believers. Then, you got the east coast pushing the rhetoric of Shake Shack down your throat with their meatier version of the burgers with the variety that can beat the slim down menu of their westside counterparts. Both have their strong points, but someone else wants to get in on the action. 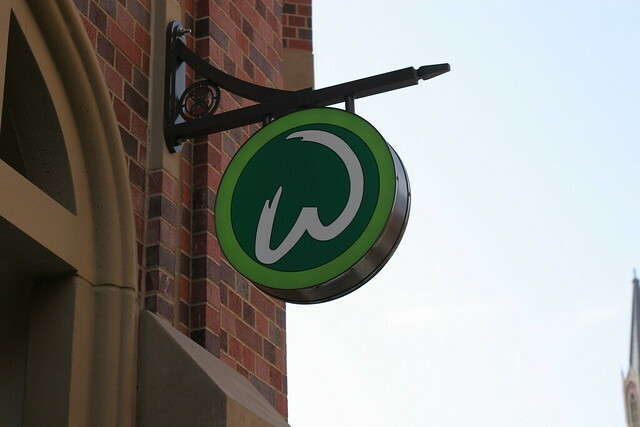 Apparently, Wahlburgers from a famed actor and his hip hop family also wanted to enter this battle royale. It's not just Shake Shack have come on strong in the past few years, but Raising Cane and Five Guys have also started to make the march toward the west coast. What seemed to be a major difference between Marky's burger versus the other funky bunch? For one, I think their patties are bit more thicker because of the 1/3 lbs portion. In a a weird way, you can get the pounder by ordering their triple patty. They are very generous with the servings of their vegetable add-ons of lettuce and tomato. Almost like getting a salad with the patty and buns. Coincidentally, the buns may or may not be from the local bakery as it was posted on the website. This seems to be something I would get from my local market for that burger cook out. How does this Boston transplant of a burger do compare to the New Yorker (Shake Shack), DMV (Five Guys) or In N Out (good ol' Cali)? In my humble opinion... here it goes. In order from best to worst: In N Out, Five Guys, Wahlburgers, Shake Shack. In reality wise, I think the price may play into a bigger hindrance as it was the 2nd most priciest with In N Out being the cheapest. 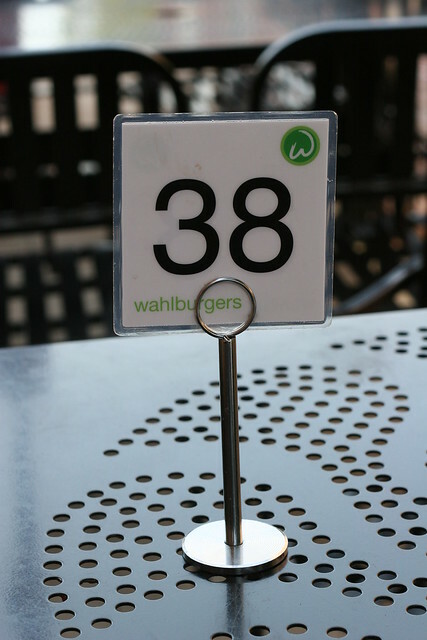 Made to Order burgers, my top 2 choices are the ones I prefer, though Wahlburger is not far from them where Shake Shack is so far back, I don't even know what the fuss was in the first place about them being the best. 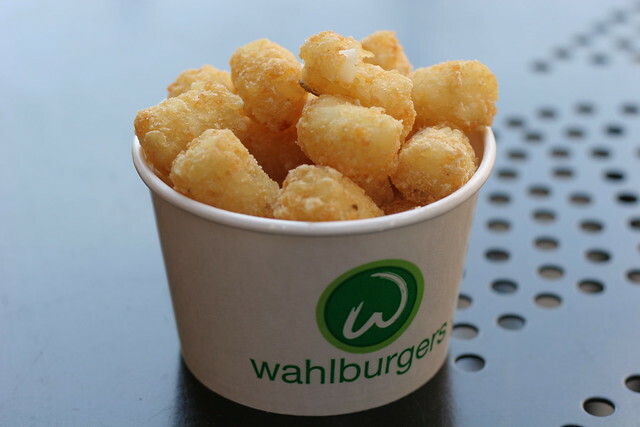 Another big plus was the choice of tator tots instead of fries. Yes, I know... they are both potatoes, but I just love the crunchy crispy tots that is in here. On the flip-side, after this review, I had a whole new appreciation for Five Guys after I shredded them to pieces when I first encountered them many years ago. I had to say it's not as bad as Shake Shack was. One of these days, I might need to add White Castle and Whataburger in my burger comparisons battle. 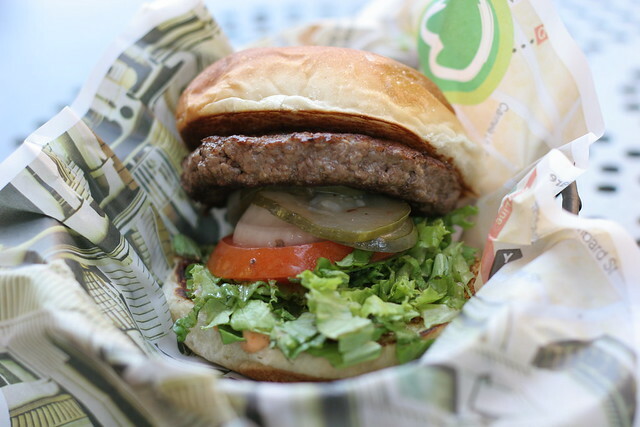 As in for now, I give Wahlburger a passing grade, but the price of $10 for a single patty may be a deterrence for repeat visits.